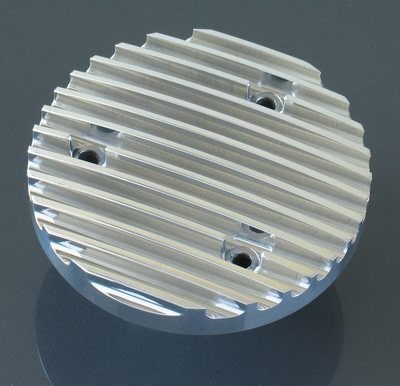 Precision CNC machined finned alternator cover from billet alloy. Unlike others on the market, this is from billet alloy, not sand or die cast. Available polished or anodized silver.